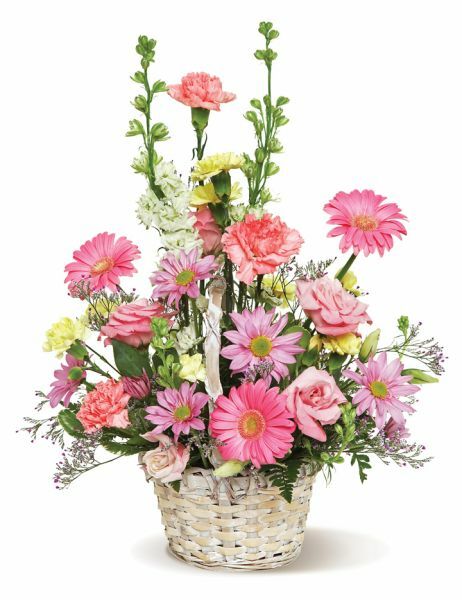 Like the breezy days of summer, this mix of pink, yellow and white daisies, carnations, roses and stock, presented in a whitewashed carrying basket, is sure to charm and delight! Perfect for any picnic table, or to brighten someone’s day. $49.98 plus delivery. Call 315-823-7073 to order.